Husqvarna is set to go off-road racing in 2015 with a strong roster of championship-winning riders and the support of a new title sponsor– Rockstar Energy Drink. Husqvarna’s off-road program is proud to welcome Rockstar Energy Drink as title sponsor, effectively creating the off-road division of Rockstar Energy Husqvarna Factory Racing. New to Husqvarna this year is past champion and eager contender, Josh Strang. Returning for a second year are factory riders Mike Brown and 2014 Champions Andrew DeLong and Jacob Argubright. “Bringing on Rockstar Energy as a title sponsor is a really important step in our alliance as we take on off-road racing at the most reputable stages,” said Husqvarna Motorcycles North American President, Jon-Erik Burleson. The Gas Gas Pont Grup Seguros Dakar Team (Pont Insurance group) presents its riders for next Dakar Rally Argentina-Bolivia-Chile 2015, an edition in which Vodafone, Braktec and the insurance company add to the dakar project. Gerard Farrés and Dani Oliveras will represent the Girona factory in the most demanding off-road test on the planet, where they will test the new Gas Gas EC450 Raid in order to be among the best. The riders Gerard Farrés and Dani Oliveras will represent the Gas Gas Pont Grup Seguros Dakar Team, the official team of the Girona firm that incorporates their Dakar project with sponsors Vodafone and Braktec in addition to the insurance company. The Catalan brand will be at the Dakar with the goal of finishing the most demanding raid on the planet, both the mechanics and the riders have placed among the best. With thisfourth consecutive participation in the Dakar Rally, Gas Gas reaffirms their commitment to competition and extreme adventure in this edition, which is the debut of the new Gas Gas EC 450 Raid, a bike created to deal with the difficulties of the most extreme endurance test on the planet. Husqvarna Motorcycles is pleased to announce that they are extending their successful working relationship with leading exhaust manufacturer FMF Racing into 2015. Following on from the successful 2014 season enjoyed by both companies, the US manufacturer of performance exhaust systems will support all of Husqvarna’s direct racing activities. In their return to international competition, Husqvarna Factory Racing teams gained notable success. It was a year to remember for Bel-Ray Husqvarna Factory Racing with Pela Renet winning the Enduro 2 World Championship with his FE 450. Aboard TE 300 machinery Graham Jarvis and Alfredo Gomez won three of the major extreme enduro events. Success was also enjoyed in the Motocross World Championship with Wilvo Nestaan Husqvarna Factory Racing’s Romain Febvre placing third overall in the MX2 category while claiming a debut career win at the GP of Brazil. Na een leerzame en indrukwekkende Marketing Meeting in Mattighofen, is Anne geïnspireerd en klaar voor een knallende start bij KTM Nederland. Tijdens haar studie en vorige baan bij Motorsport Organisatie Nederland heeft zij al veel ervaring in Marketing opgedaan en tevens de motorwereld leren kennen. 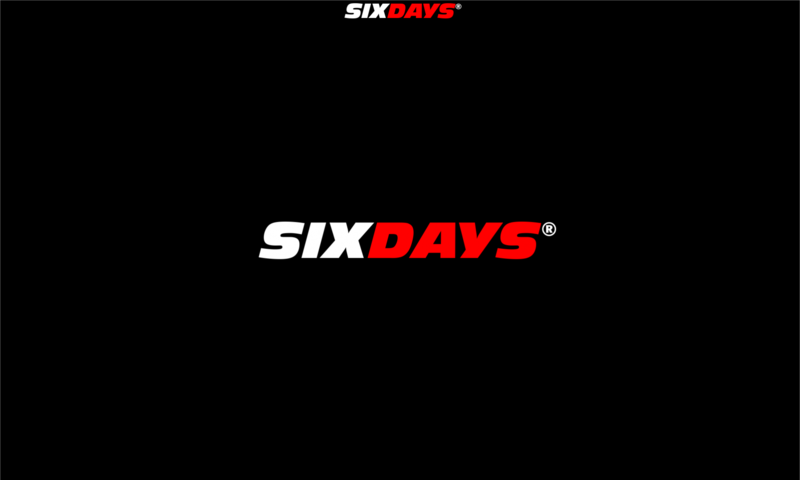 Zelf is zij liefhebber en beoefenaar van extreme- en adventure sporten. Anne werkt al meerdere jaren bij verschillende 24-uurs endurance autoraces in o.a. Dubai en Zandvoort. Bovendien maakte ze bij de MON circa 160 motorsportraces per jaar mee, dus Anne is zeker Ready to Race! 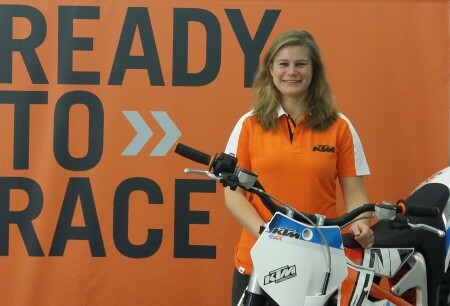 Met Anne als nieuwe aanwinst is KTM Nederland weer een motorfanaat rijker met een duidelijke visie op marketing.